Nvidia on Monday introduced a graphics card priced at US$199 that will bring high-end gaming and Blu-ray 3D movie playback to desktops. The GeForce GTX 460 is Nvidia's most inexpensive desktop graphics card based on the company's Fermi architecture, which provides better multimedia performance than its predecessors. The card includes 336 processing cores and 768MB of graphics memory. It is also Nvidia's cheapest graphics card to support DirectX 11, a set of tools to bring realistic images and sound when playing games or watching movies on Windows 7 PCs. The hardware will decode Blu-ray 3D movies for playback, provided PCs have the relevant drives. The graphics card will have two outputs for displays. 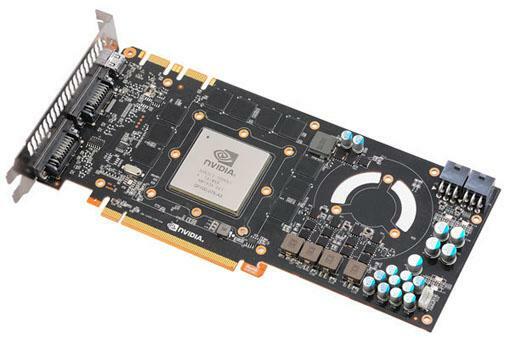 One graphics card will be able to play a movie across two monitors, said Justin Walker, product manager at Nvidia. The card will also be able to harness the parallel-processing capabilities of graphics processors to improve gaming and application performance, Walker said. That is partly done by native hardware support for DirectX 11. Nvidia also offers CUDA, a set of programming tools to develop and manage parallel task execution. Nvidia already offers three GeForce GTX graphics cards based on Fermi priced between US$279 and US$499. The fastest performer and most expensive card, the GTX 480, has also been called out for being excessively hot, though the company disagrees. Testers and PC makers have said that the excess heat generated by the GTX 480 leads to consumption of more power to cool a system. Walker said that the GTX 460 does not generate much heat. The graphics card draws up to 150 watts of power, according to the company. The card will likely compete on price with Advanced Micro Devices' ATI Radeon HD 5830, which was priced under $250 on launch, but is now priced at $199 on retail sites like Newegg. The Radeon card, announced in February, is compatible with DirectX 11. The GTX 460 768MB version will be available worldwide starting Monday. A variant of the card with 1GB of graphics memory will become available on Monday for US$229.